RKA Gun Gallery offers several services at competitive prices. RKA Gun Gallery can help you fill out your Illinois Conceal Carry License online application and photo. This process takes approximately 30 to 40 minutes to complete, so please plan accordingly. There is a $40 convenience fee for this service. RKA Gun Gallery can help you during normal business hours. Monday through Friday 9a-8p; Saturday 8a-8p; Sunday 9a-6p; CLOSED on Tuesdays. The correct attached form - READ CAREFULLY. One is for first time applicants and one for renewals. Your Illinois State Police certificate. Certificate with instructors name and ID number. A valid credit card to pay the state $153.53 for your license. RKA Gun Gallery, Firearm Safety Group, and their employees are NOT responsible if the Illinois State Police website is not working. This is beyond our control. If the Illinois State Police deems an entry invalid, YOU will be responsible for calling the Illinois State Police at 217-787-7980. We do not have access to you personal information. Once the application process is complete, RKA Gun Gallery, Firearm Safety Group, and their employees no longer have access to your account. All future correspondence will be done through email between you and the state. You are responsible for retaining all the information on the attached sheet. You can check the status of your application by logging on the Illinois State Polic website: www.ispfsb.com. Buyer must present a valid FOID and state ID. Buyer must provide proof of purchase or written agreement from the seller. Buyer must provide the sellers name, address, phone & fax number and email address if applicable. Buyer must verify with federal, state and LOCAL firearm ordinance requirements. RKA will notifies the Illinois State Police (ISP) to perform a background check in accordance with state and federal laws. RKA must receive an “Approval” before transferring the firearm to the buyer. Buyer must abide be the Illinois Waiting Period before taking possession of the firearm. 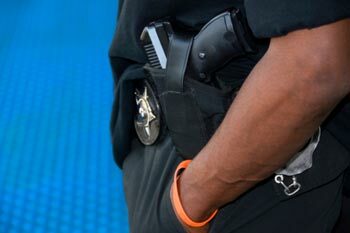 72 hours for a long gun; 72 hours for a hand gun. RKA will notify the buyer when all of the above paperwork is completed. Seller must provide a valid FOID and State ID. 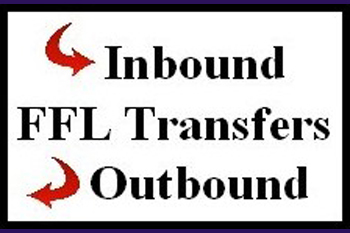 Seller must provide the FFL Dealer’s name, address, phone & fax number and email address if applicable. Seller is responsible to keep a record of the transfer including the date, description, serial number for a period of 10 years from the date of transfer. RKA will complete the required paperwork, shipping and handling of the firearm within the continental United States for a fee. Costs: Long gun $75 each firearm; Handgun $50 each firearm. There is an additional fee for more insurance. 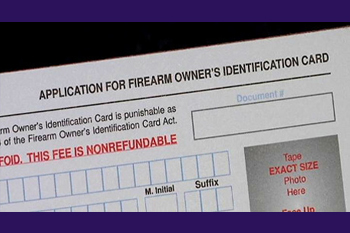 The Firearms Owners Identification (FOID) card was created in 1968, by the FOID Act, as a way to identify those persons eligible to possess and acquire firearms and firearm ammunition as part of a public safety initiative in the State of Illinois. The FOID card is NOT a “conceal and carry” card. Unless specifically exempted by statute, any Illinois resident who acquires or possesses firearm or firearm ammunition within the State must have in their possession a valid Firearm Owner’s Identification (FOID) card issued in his or her name. Non residents are not required to have a FOID card. New Illinois residents have sixty calendar days after obtaining an Illinois driver’s license or Illinois Identification Card to obtain a FOID card. 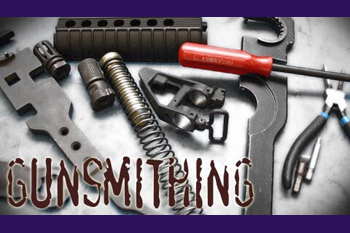 We are now offering gunsmithing services from repairs to cleaning. Unfortunately, we are unable to provide stock work (anything with wood), rifle a barrel or reblue guns.